Growing up in and around Sydney in the 1950s I knew nothing about films other than those made in English until around 1955 when I joined a film society that had screenings of foreign language films in a decrepit room above the Plaza Cinema (now defunct) in George Street, Sydney. One of the first films I saw was the Czechoslovak film Krakatit (made in 1948, pictured above), adapted from a science fiction story by the writer Karel Čapek and directed by Otakar Vávra. I was struck especially by the design and photography, which eschewed realism and were quite unlike any film I had ever seen. I remember, too, being overwhelmed by the passion generated in a love scene in which the man and woman did nothing but hold hands. The Communists took over Czechoslovakia in 1948 and imposed such restrictions on the subject matter of films that there was little made of interest until the years just prior to the Prague Spring of 1968. 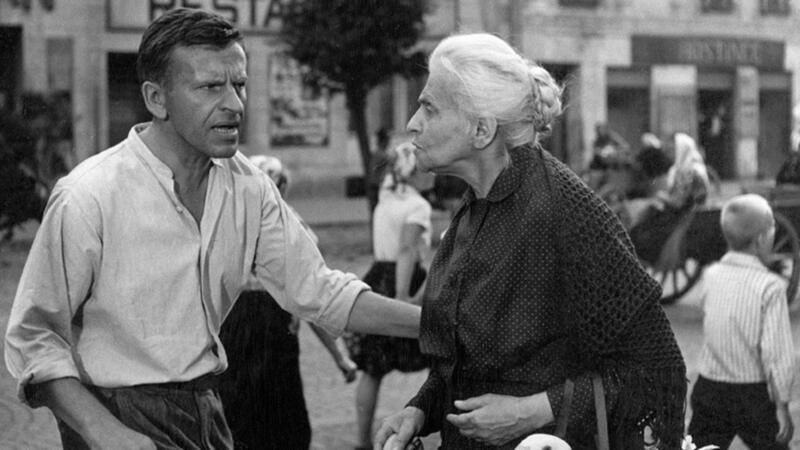 I was impressed by The Boxer and Death (1962), directed by Peter Solan – the story of a Slovak boxer in a concentration camp – and The Shop on Main Street, directed by Elmar Klos and Ján Kadár, a gentle study of the relationship of a gentile and a Jewish woman. It won the Academy Award for Best Foreign Language Film in 1965. By 1965 I was living in London and working for the British Film Institute and so could see films from all over the world at the National Film Theatre on the South Bank. 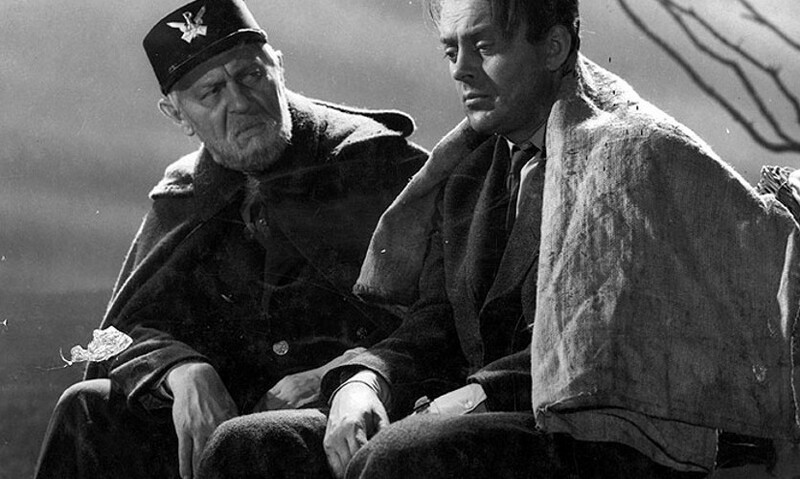 A flurry of Czechoslovak films arrived in the mid ’60s and made a huge impression, largely because of their gentle humour. This appealed to the English audiences because of the similarity to the style of the famous British Ealing comedies. The films included The Firemen’s Ball and Loves of a Blonde, both directed by Miloš Forman; Intimate Lighting, directed by Ivan Passer, and the delightful Closely Observed Trains, directed by Jiří Menzel. Forman and Passer continued their careers in America, where Forman won the Academy Award as Best Director for both One Flew Over the Cuckoo’s Nest (1975) and Amadeus (1984). Back in Sydney in the 1990s I was thrilled with Kolya, directed by Jan Svěrák, which won the Academy Award for Best Foreign Language Film in 1996 – a touching, intimate story of the kind at which Central European filmmakers seem to excel – a cellist out of work because of his political affiliation has to take care of a small Russian boy. Želary, directed by Ondřej Trojan, is the story of a sophisticated young lady from Prague who is on the run from the Nazis during the war. She seeks refuge in a remote part of the country with an oafish peasant farmer. Again, the Czech flair for subtle relationships is in evidence and the film is a delight. It was nominated for Best Foreign Film in 2003. There are no doubt a large number of excellent films from both the Czech and Slovak Republics that have not had the distribution outside their native country that they deserve. A festival devoted to some of these films will be rewarding to all who attend. Editor’s note – The Boxer and Death and Closely Observed Trains screened at the 2014 Czech and Slovak Film Festival, while The Shop on Main Street will screen at this year’s CaSFFA in a brand new digital restoration, shortly after premiering at this year’s Karlovy Vary International Film Festival. 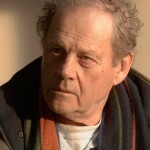 Bruce Beresford has directed over 30 feature films. He was nominated for an Academy Award for the script of Breaker Morant and for direction of Tender Mercies. Driving Miss Daisy, which he directed in 1989, won five Academy Awards including Best Picture. His latest film is Flint (2017), which is about the water crisis in that city. The leading actors are Queen Latifah, Rob Morrow, Betsy Brandt and Jill Scott. His next project is Ladies in Black, which is adapted from the popular novel by Madeleine St John. He has also directed operas in the USA, Italy and Australia, the most recent being Benjamin Britten's "Albert Herring" for the Brisbane Conservatorium. For Opera Australia he directed the Australian premieres of three American operas: "Of Mice and Men", "A Streetcar Named Desire" and "The Dead City". He has had two books published and a third, The Best Film I Never Made and Other Stories about a Life in the Arts , will be published in November. Bruce and his wife Virginia live in Sydney.